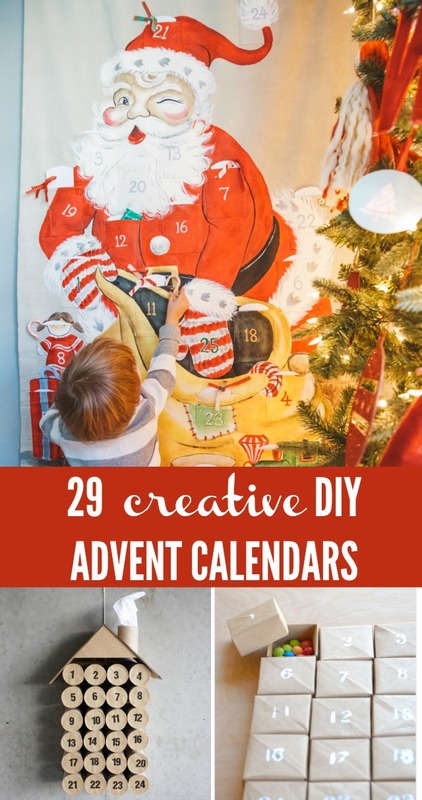 29 DIY Advent Calendars - C.R.A.F.T. December first is here! Time to whip out that advent calendar and start the official countdown. 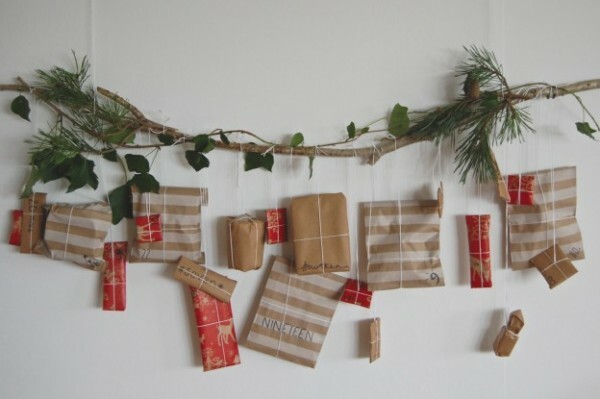 Here are 29 DIY advent calendars that will absolutely inspire you to make your own. Best part? 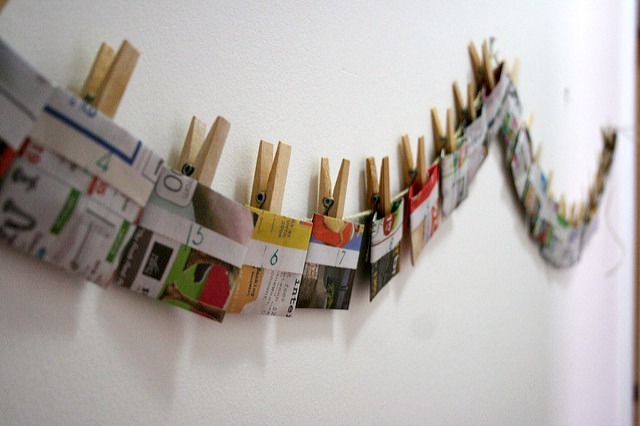 These countdown calendars are made out of things you likely have on hand right now. Things like envelopes, match boxes, brown paper grocery bags, bottle caps, muffin tins, and even toilet paper rolls! 1. 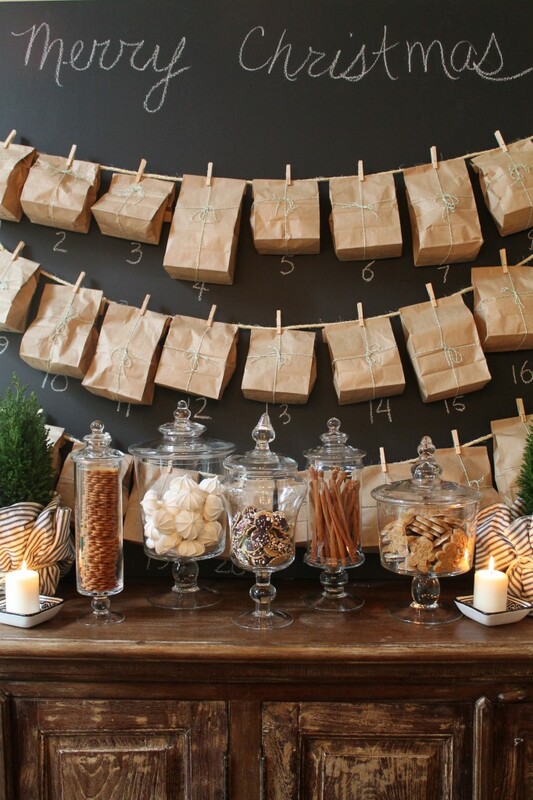 All you need for this sweet and simple advent calendar is brown bags from the grocery store. 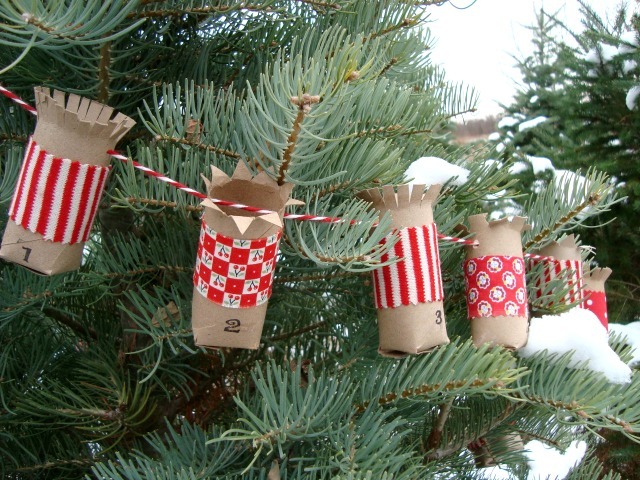 I love that the brown bags could easily be spruced up to fit your holiday decor. 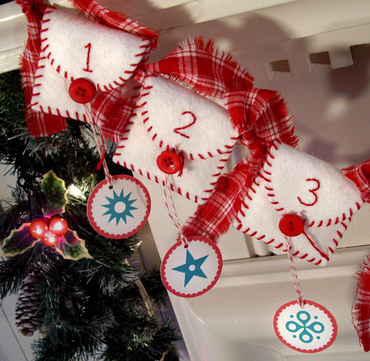 See the complete brown bag Christmas countdown tutorial at Whatever Dee Dee Wants. 2. 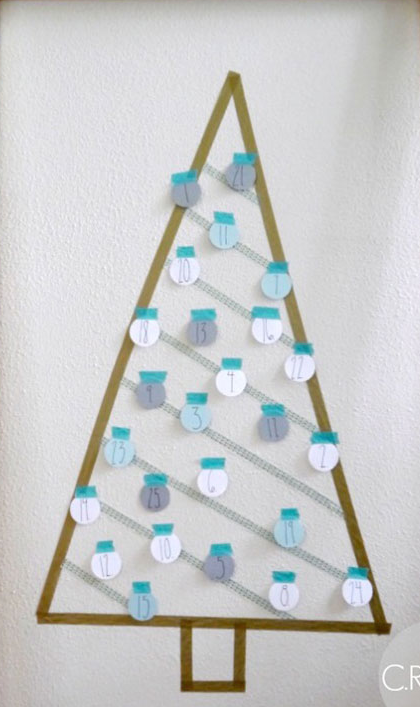 All you need for this simple advent calendar is washi tape and paper! Best of all it takes less than 30 minutes to put together. See all fo the washi tape advent calendar details on C.R.A.F.T. 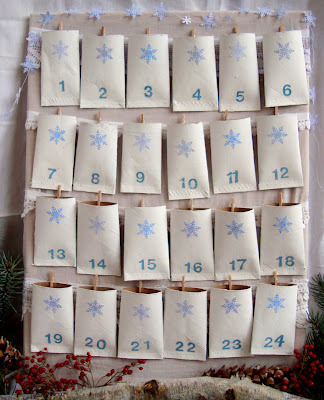 3. Who knew brown bags that are typically used for sack punches could look so chic as an advent calendar for Christmas? 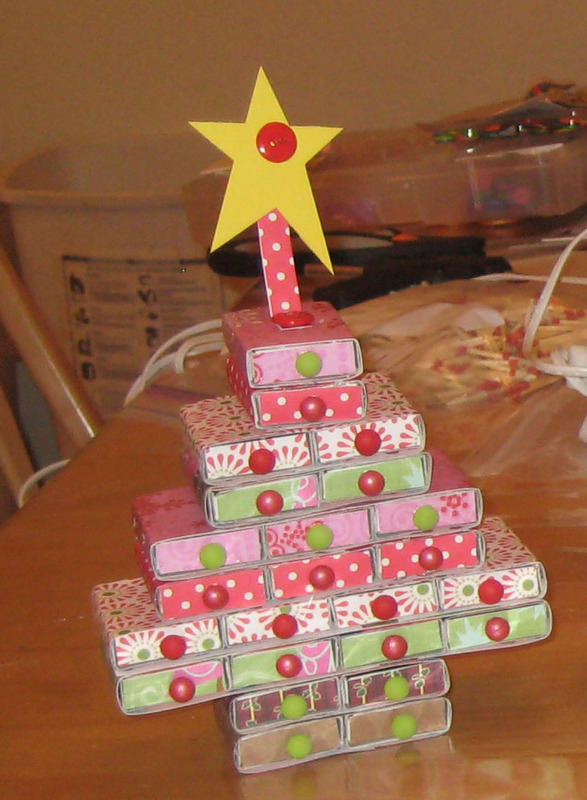 The entire advent calendar project including building the giant chalkboard cost less than $50. See all of the details as Most Lovely Things. 4. How adorable are these hand sewn felt envelopes? See the complete tutorial at Jenny Allsorts. 5. I love that these colorful envelopes add the perfect amount of whimsy. 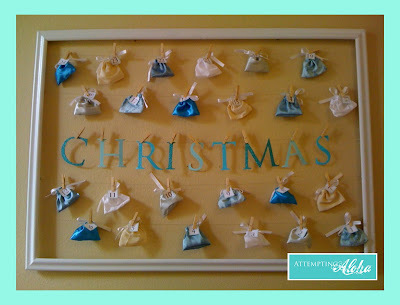 You can make the envelopes yourself or even hand decorate simple store bought white envelopes. Photograph via ziggiau. 6. 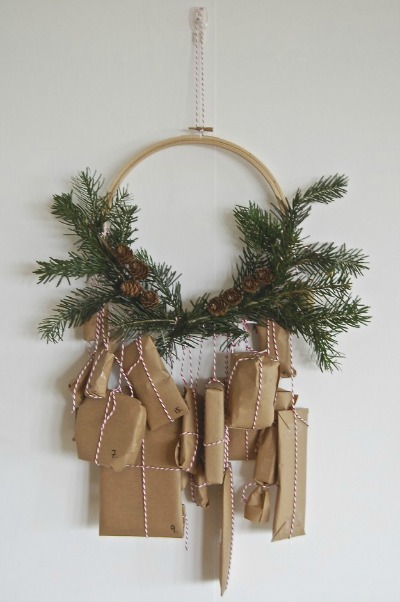 How beautiful is this simple loom with tree branches and hanging gifts all tied with bakers twine? I love it! See lots more details at lapinblu. 7. 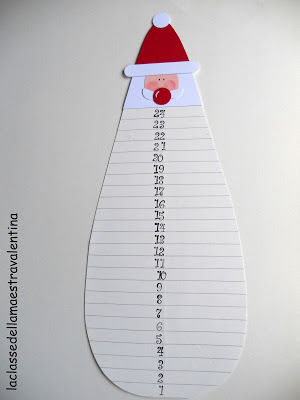 This is the cutest and simplest DIY advent calendar I’ve seen yet! 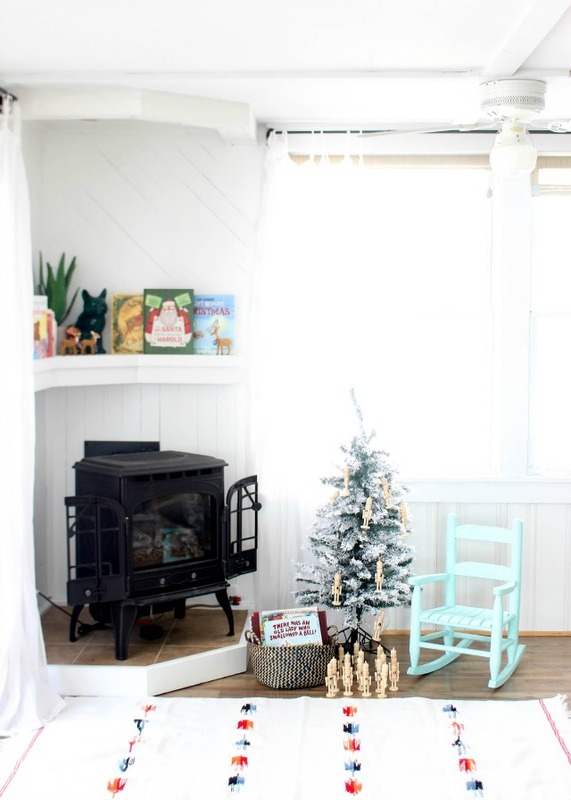 All you need are wooden nutcrackers, a little paint, and 24 Chrsitmas books! See the complete tutorial and where to buy nutcrackers on Cloudy Day Gray. 9. 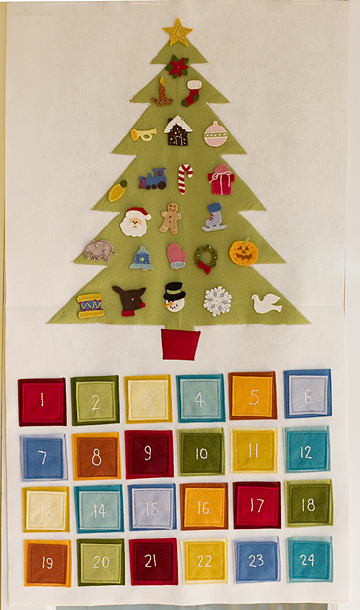 This adorable Christmas tree advent calendar is entirely made out of felt. I also love that is was made by mother and daughter. See more details at Stitch Craft Creations. 11. 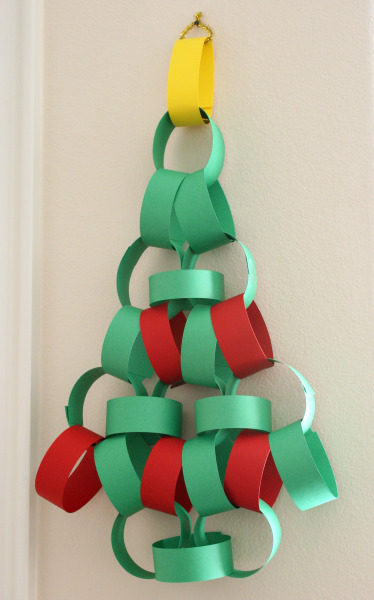 A modern Christmas update on the ol’ paper chain. I love it! See the complete tutorial at Make and Takes. 12. Who knew tp rolls could be so cute? 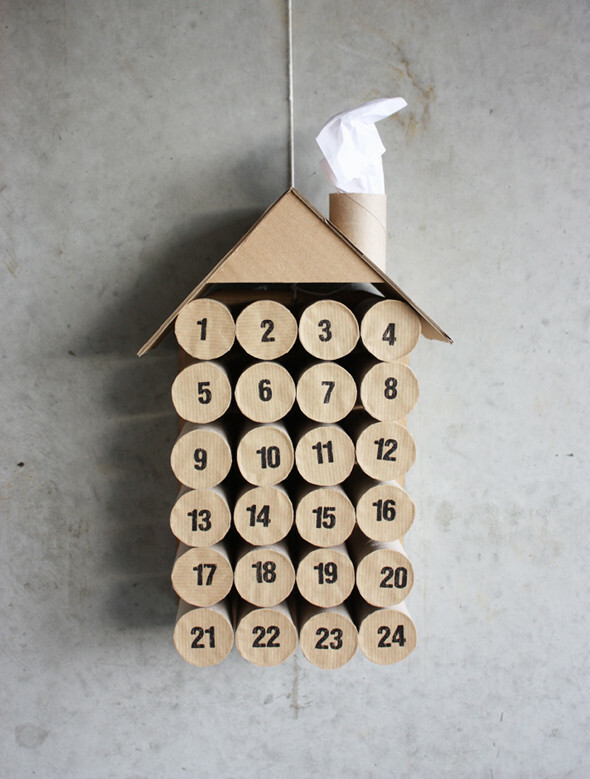 Use spent toilet paper tubes to craft up this creative advent calendar complete with a chimney! See the full tutorial on Morning Creativity. 13. 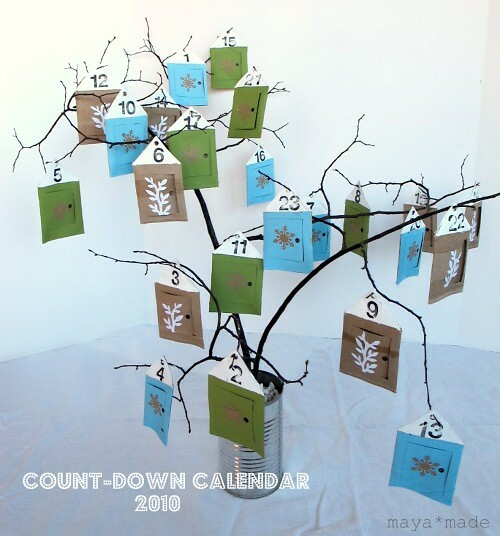 Lapinblu made another version of her loom advent with a simple branch. Check out the details at Lapinblu. 14. 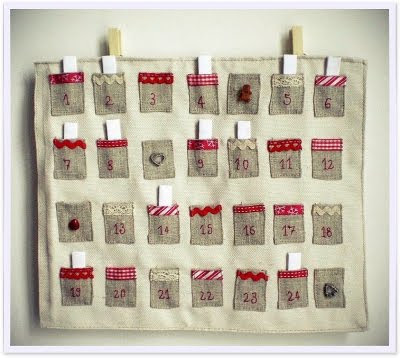 I love that Jenn turned a store bought kit into an advent calendar she could use again and again! See all of the details at Clean and Scentsible. 15. 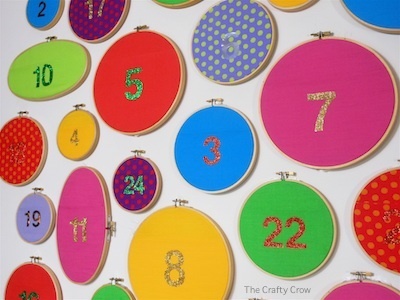 Here’s another way to turn embroidery hoops into colorful holiday decor that doubles as a Christmas countdown! Check out the tutorial at The Crafty Crow. 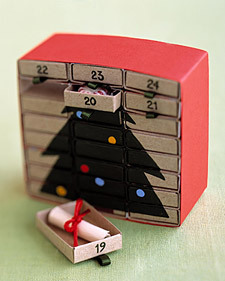 I've seen so many great new advent calendar ideas this season! I love how most of these involve some form of paper craft but are all completely unique! I think my favorite is the Hobby Craft Cute Envelopes though – I love the plaid deer cut out. Great finds! Thanks love for including mine! That is a lovely idea…. I am sure your kids will have so much fun… especially the Paper Bag Boxes. Thanks for sharing 🙂 Checking it out now! 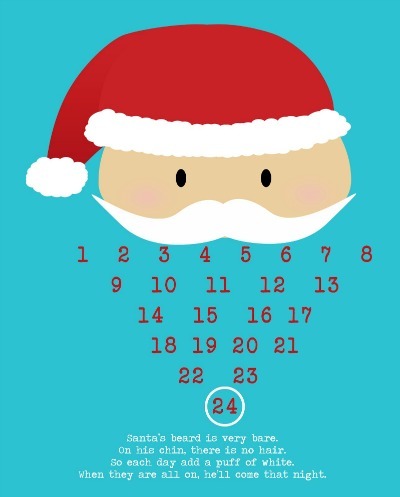 Your Advent calendars are so cute, by the way! What a great round up! Thank you for posting these ideas. I’ve been trying to decide what kind of advent calendar to use now that I’ve got a little one. These ideas are so cute it may be just as hard to decide now as before! All of these are so adorable! Sadly, I can never seem to stick to an advent calendar since I moved out of my parents place :/ . 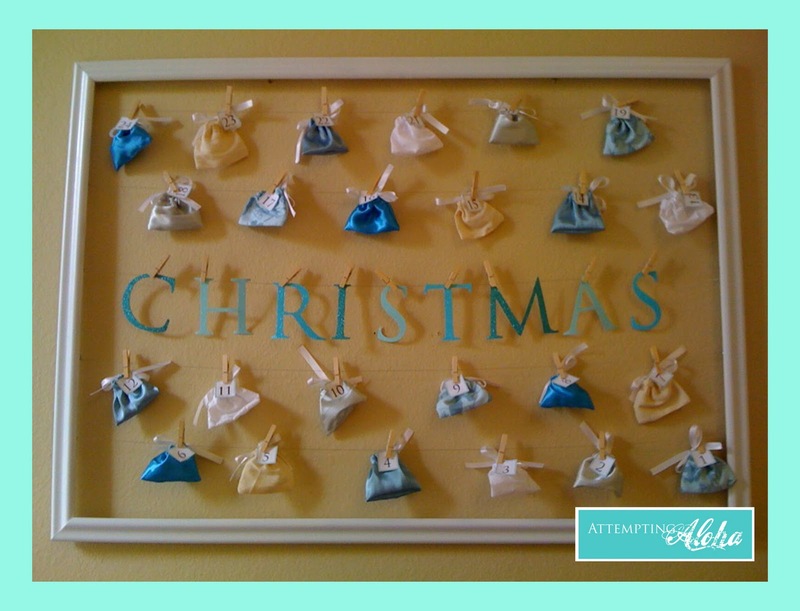 They make a great double for a decoration as well as a fun activity though!